With more people living into cities, architects are increasingly finding inventive ways to squeeze homes into small spaces. 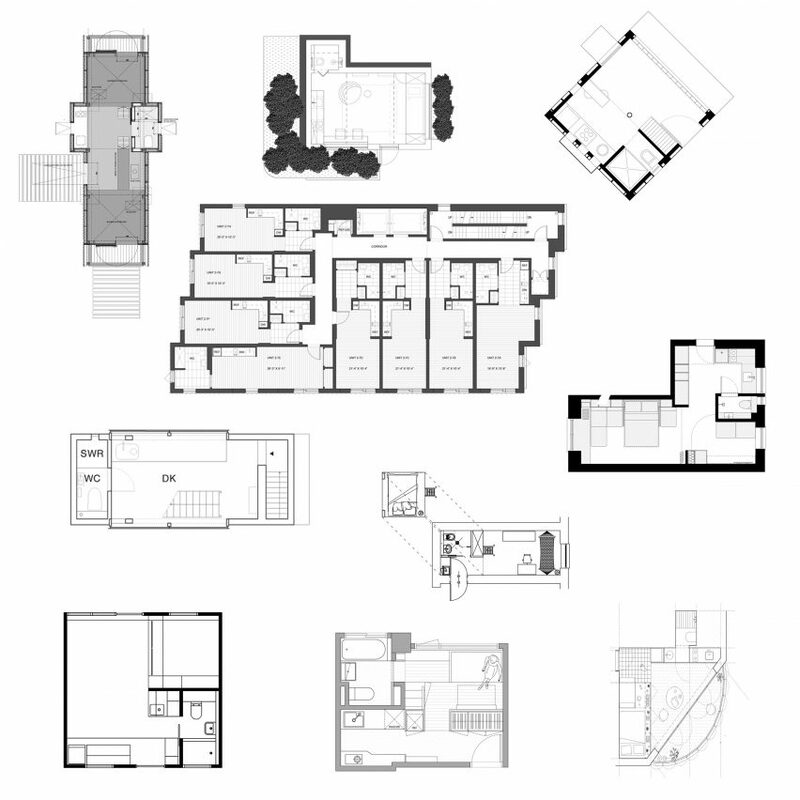 Here are the floor plans of 10 micro homes that most of every square metre. Polish designer Szymon Hanczar has packed a kitchen, bedroom and bathroom into 13 square metres in Wroclaw. The micro apartment contains a double bed raised above a built-in wooden unit that contains a compact bathroom and a tiny small kitchen. Read more about Hanczar's micro apartment ? This mobile micro home was designed by Invisible Studio and built at its woodland studio near Bath, England. Built from salvaged materials and locally grown timber, the 40-square-metre gabled structure is designed so that it can legally be transported, using a wheeled trailer, on Britain's roads. Read more about Trailer ? This 33-square-metre apartment in New York is packed full of moveable, folding and expandable furniture. The front room of LifeEdited2 can be rearranged as either a lounge, master bedroom, or dining room with seating for 10. Read more about LifeEdited2 ? Taiwanese studio A Little Design made room for a piano studio in this 17.6-square-metre apartment in Taipei, Taiwan. The tiny apartment takes advantage of the high ceilings, with a mezzanine bedroom above the entrance and kitchen. Read more about Taipei micro apartment ?